The mental effects of being an injured athlete. If there is one thing that athletes can agree on, it’s that injuries are the absolute worst. As an athlete myself, I’ve been forced to cope with a fractured spine, broken foot, concussion, and many other injuries throughout my soccer career. Over my time on the sidelines, I’ve recognized that injuries present more than just simple frustration and impatience from not being on the field, but they also have effects on my mental and psychological health. My productivity and attitude fell hand in hand and I was left helpless. However, I am not the only athlete to experience these changes when not being active. In fact, many athletes struggle when battling their prospective injuries, often experiencing depression, anxiety, disordered eating, and substance use or abuse. Junior Costa Colachis-Glass, a member of the Bulldog’s boys soccer team has been battling the injury bug since 2016, most recently a hip and back injury that sidelined him for nearly half a year. For Colachis-Glass, one of the biggest struggles was having doctors struggle to diagnose his injury properly, leading to a lack of identifiable steps towards recovery. “I’ve probably seen over three doctors for my injury just because it was pretty complicated and it took awhile to figure out what it was, which was extremely frustrating,” said Colachis-Glass. Sophomore lacrosse and soccer player for Garfield, Fiona Drum identifies with Colachis-Glass’ frustration that often comes with injuries. In fact the list of injuries goes on and on for Drum. Surprisingly enough Drum inversely has seen her productivity fall, despite the increased amount of time she has to do homework when she is injured. “Sports are just a major part of my life and I’ve found that even though I have more time when I’m not playing sports, I am still a lot less productive with homework and other things because I am off of my normal schedule that I’ve become accustomed to,” said Drum. While trying to remain involved in all of her teams by going to most of the practices and games, Drum still feels a disconnect between herself and her teams. “My team is always really friendly to me but I don’t feel like a part of the team anymore, which is frustrating,” said Drum. Carmay Jones-Isaac, Garfield’s athletic trainer, specializes in knowing how to properly deal with athlete frustration when it comes to injuries and she notes the importance in knowing the type of athlete you are dealing with when treating them. On top of this, Jones-Isaac places a different emphasis on concussions, as they can be the most frustrating, inconvenient, and destructive injuries that an athlete can suffer. “Concussions are tough sometimes because symptoms can only be felt by the athlete, so a lot of the concussed athletes I deal with become frustrated because other coaches or athletes can more easily claim that you’re not hurt and put pressure on you to get back as soon as possible,” said Jones-Isaac. Garfield boys soccer head coach Carlos Enriquez also describes the visible signs of an injured athlete and provides context on the issue. “An injured athlete is often visibly different just by being kind of down, and physiologically speaking, your body is used to releasing that energy and having exercise in your life, so there are definitely some changes there,” said Enriquez. On top of the visible differences, Enriquez notes that there are emotional consequences that come from being unable to play sports. “There’s also an emotional side to it where a player is truly invested in the program or the team and when they are unable to contribute it can be heartbreaking for them to temper expectations,” said Enriquez. However, Enriquez claims that when an individual properly copes with an injury it can have wide-ranging benefits for the team as a whole. “If the injury is dealt with properly, I’ve found that athletes coming out of the injury often have a refreshed attitude, [which] proves to be a huge boost for the players already playing,” said Enriquez. For many athletes, prolonged injuries can translate into long-term mental health issues. Depression, sleep deprivation, a decline in productivity, and an identity crisis are just a few of the potential issues an athlete may encounter when sidelined from activity. The relationship between weakening mental health and the loss of participation in sports has surprised many injured athletes that may now recognize the value of sports more than ever. 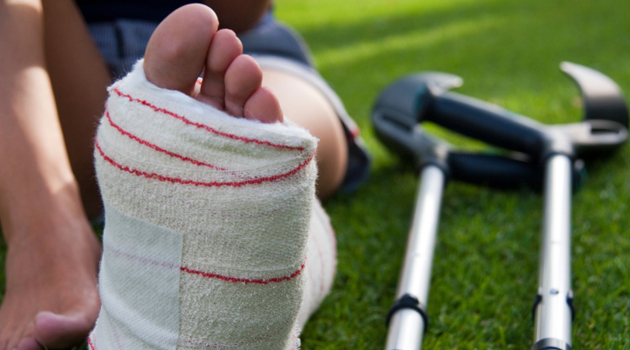 There are proper ways to cope with injuries and it’s important to stay in touch with those that can help, such as coaches, athletic trainers, and teammates. Coming from a professional, Jones-Isaac has specific advice in order to keep injured athletes motivated, while getting the best treatment and remaining hopeful.